Vedic Astrology (Jyotisha) is a sister science to Yoga and Ayurveda that embraces the entire human being in order to bring health and happiness into our lives. It is the study of the influence of light on all living and non-living beings, and specifically, light coming from the stars and planets and its affect on our bodies, minds, and even health. Vedic Astrology/Jyotisha is a constant dialogue between Karmic destiny and free will. 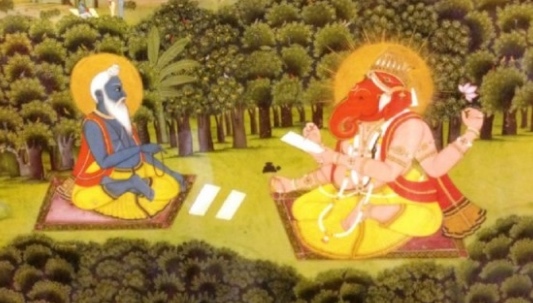 In this four Months (one weekend/ month) training program you will learn about the fundamentals of Vedic Astrology to aid in your own journey of health and healing. After the completion of this program you will be able to apply its Vedic principles in your daily life, in a yoga practice, and have better understanding of the people and world around you. The structure of a Birth Chart both North Indian and South Indian. The significance of 12 Houses and their impact in various areas of our lives. The 12 Signs and how they bring out different tendencies. Relationships of the Planets, in their interactive combinations. Karakas or Significators for different contexts in terms of Planets. Dashas, Bhuktis and Gocara: Time cycles, Transits and how they define a dynamic interpretation to the static birth chart. Besides her regular teaching schedule, Arpita also offers private yoga therapy, one on one nutrition counseling, Ayurveda consultation, Yoga TeacherTtraining, Ayurveda Lifestyle Counselor Training and Yoga retreats.&nbsp; Arpita feels tremendous gratitude to all her teachers for supporting her growth and is thankful to her students for giving her this opportunity to share the journey of Yoga and Ayurveda. NAMA Certified Ayurvedic Practitioner, C-IAYT Certified Yoga therapist, Ayurvedic Yoga Therapist, E-RYT-500, BS in Nutrition & MBA - As an Ayurveda practitioner and Yoga Teacher, Arpita’s intention is to integrate the sister sciences of Ayurveda with Yoga to provides a unique class with a holistic approach to the mind, body, and spirit. For Arpita, sharing the beauty of ayurveda, nutrition and yoga with her clients is truly a gift in her life. Accepted Payment Methods: Cash/Check/MO/PayPal, all payments are non refundable.